Mexican Skillet Supper is a gluten-free, one-pan, quick and delicious dinner, ready in under 30 minutes! Skillet suppers are always appreciated, especially on busy weeknights! 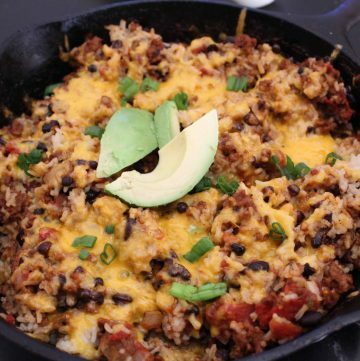 This Mexican Skillet Supper recipe is gluten-free, full of flavor and ready in under 30 minutes! You probably have most of the ingredients in your kitchen–one pound of lean beef, a can of black beans, a can of stewed tomatoes and rice. That’s it! The secret is in allowing the stewed tomatoes to cook down into a rich sauce and accenting the dish with ground cumin and chile powder. 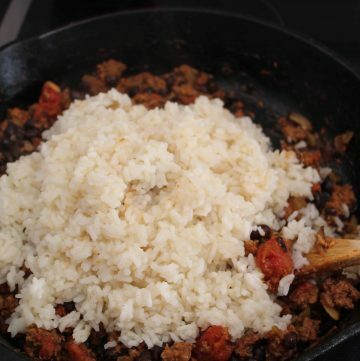 What Type of Beef Should I Use for Mexican Skillet Supper? Lean ground beef works best. After browning the beef and onions, drain off any oil, add beef and onions back to the skillet, then add remaining ingredients. What Type of Beans Should I Use for Mexican Skillet Supper? Black beans work really well in this recipe, however, pinto or red kidney beans will work well, too. Black beans have more antioxidants than other beans. Can I Make This Recipe In Advance? This dish is perfect for large groups and can easily made in advance. To make it in advance, simply compile the cooked ingredients into a 9 x 13 baking dish, cover and refrigerate. 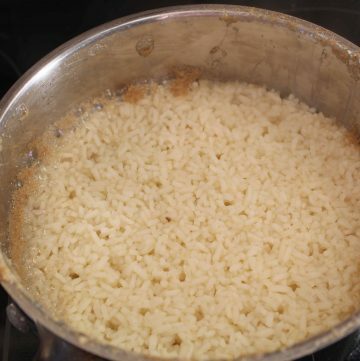 When you’re ready to serve, add cheese, cover with foil and bake about 20 minutes; remove the foil and bake an additional 5 – 8 minutes, or until the cheese is thoroughly melted. 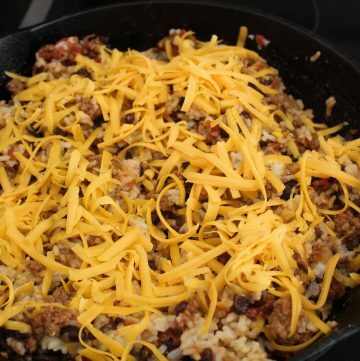 What Side Dishes Should I Serve with the Mexican Skillet Supper? Chips, salsa, guacamole or queso go well with this one-pan dish. Another side might be a fresh green salad, or grilled peaches or pineapple. 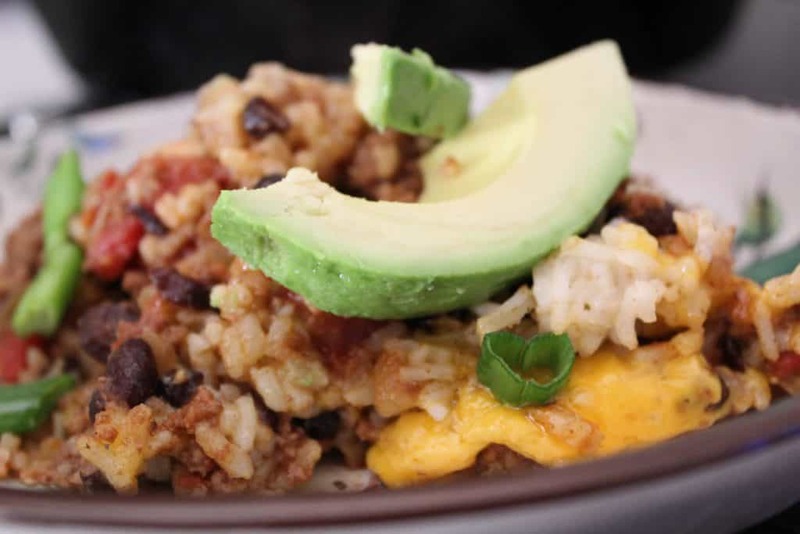 Try adding crunched-up tortillas to the top of this dish for added texture and flavor!